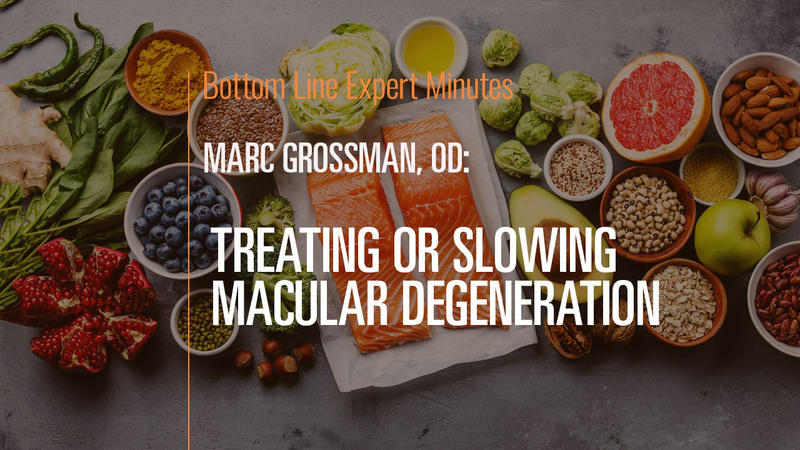 In this video, Marc Grossman, OD, LAc, holistic developmental/behavioral optometrist and licensed acupuncturist, discusses steps people can take to slow or even reverse macular degeneration. This condition, also known as starvation of the retina, is nutritionally responsive—25% of the nutrients we consume go straight to the eyes. Beneficial nutrients include lutein, zeaxanthin, astaxanthin and taurine. These can be found in green leafy vegetables, dark grapes, blueberries and omega-3 fatty acids from fish oil, flaxseed oil and hemp oil. In addition, acupuncture can be a great adjunct therapy for macular degeneration.